Working closely with his mentor, Joseph Erlanger, Herbert Spencer Gasser researched the conductivity rates of different nerve groups. Their work advanced scientific knowledge about the workings of pain and of reflex action, and Gasser and Erlanger shared the Nobel Prize in 1944. 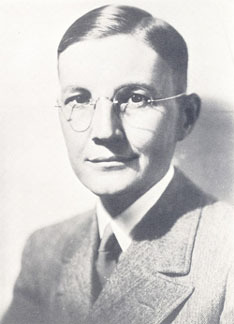 During World War I Gasser was involved in chemical warfare research at American University in Washington DC, and during World War II he researched nitrogen mustard agents. He also studied muscular contraction with Archibald V. Hill and, working with Henry Dale, researched muscle sensitivity to nicotine and acetylcholine. Gasser never married, and his social life was comprised mostly of long, enthusiastic conversations with colleagues about scientific matters. In the preface to their jointly written book Electrical Signs of Nervous Activity, Gasser and Erlanger wrote of a vacation they took together in the Rocky Mountains where, "viewing the panorama of lofty peaks spread out before us, our conversation turned to problems of nerve physiology".